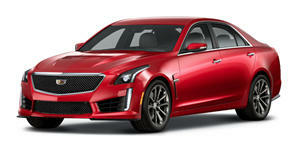 Trade your Escalade for a CTS-V on track days, then grab a CT6 to impress friends you pick up at the airport. Unless you have a 10-car garage where a vehicle for each season, mood, and taste is stored, it’s pretty tough to settle on a single car to handle all of life's whims and responsibilities. Most people can only afford one car, which makes it impractical to buy a Miata when you have kids that need to go to soccer practice. On the other hand, there’s no inspired driving to be done behind the wheel of a full-size SUV or truck. For those who have taken the middle ground and bought a crossover but wish for more, Cadillac has you covered. Fresh out the press room is news of Book by Cadillac, a service that gives us hope for the future. Essentially, it allows users who pay a monthly fee of $1,500 to book any Cadillac vehicle stocked by the service and exchange it for another at any time. For example, if you live in the city and commute to work in a CT6 but want track time, you could cue up the Book app on your phone and have a 640-horsepower CTS-V delivered to your door by a Cadillac minion wearing white gloves. Once back in town, put in another call to have the CT6 returned for a fancy night out. Then the very next weekend you can summon another minion to bring a four-wheel drive Escalade so that you can head up into the mountains for your ski trip in style. 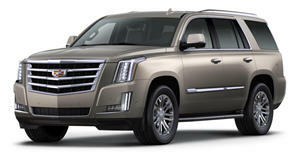 All vehicles are top-trim Platinum spec’d Cadillacs so there’s no worrying whether or not your friends will judge you for choosing a bargain basement trim. To further entice those on the edge, Cadillac makes sure to mention that registration fees, taxes, maintenance, and detailing is included in the monthly fee and that unlike customers who lease, paying attention to the odometer is unnecessary since there is no limit on mileage. To some it may sound like leasing 2.0 where a higher price allows one to lease the entire brand, but we think the implications of the move to create Book by Cadillac are positive. It means that automakers are beginning to cater to those who want an experience and not just ownership, a known trait of the millennial species. Book by Cadillac, like Ford’s new emphasis on providing transportation rather than just selling cars, also proves that the way cars end up in driver hands is changing fast.